By buying this product you can collect up to 50 loyalty points. Your cart will total 50 points that can be converted into a voucher of Rs. 5.00. Vitiligo or Leucoderma is an idiopathic acquired disorder of skin, which causes pigmentary disfigurement mostly in dark skinned individuals. Vitiligo or Leucoderma is an idiopathic acquired disorder of skin, which causes pigmentary disfigurement mostly in dark skinned individuals. 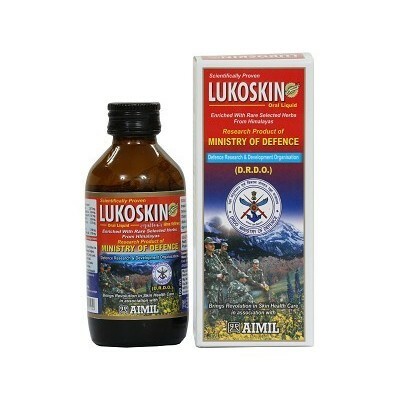 Taking into the consideration of this disease, scientist of Defence Agriculture Research laboratory (DARL) has developed Lukoskin, a patented and proprietary herbal formulation meant to treat Leucoderma or Safed Daag. 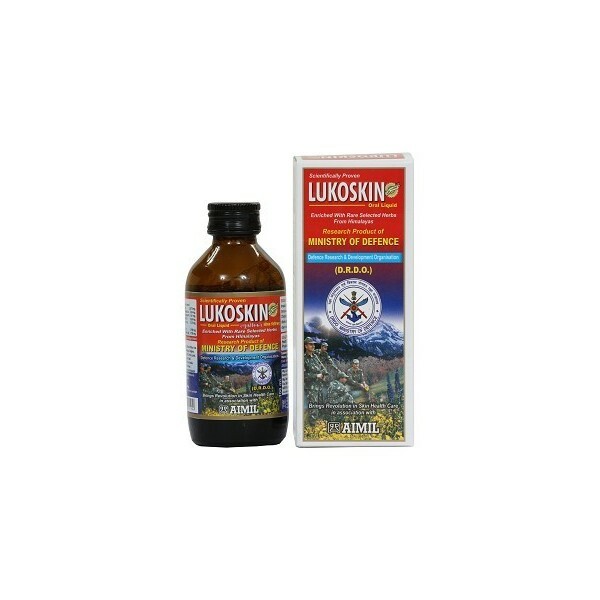 Lukoskin is a comprehensive, effective and competively safe Ayurvedic treatment for Safed Daag. Ammi majus : The seed contains furanocoumarins (including bergapten), which stimulate pigment production in skin that is exposed to bright sunlight. Psoralea corylifolia: Skin Photo sensitizer Babachi botanically known as Psoralea corylifolia grows as weed. Since generations, it is in use as folk medicine in India. Calotropis gigantia - This large shrub, which looks like a small tree, sports clusters of waxy flowers that are either white or lavender in color. Aloe vera- It is stem less or has a short – stemmed plant which can produce up to a height of about 80 cm to 100 cm that spreads for root sprouts and balancing. Centella asiatica -The whole plant is alterative, cardio-depressant, hypotensive, weakly sedative and tonic. 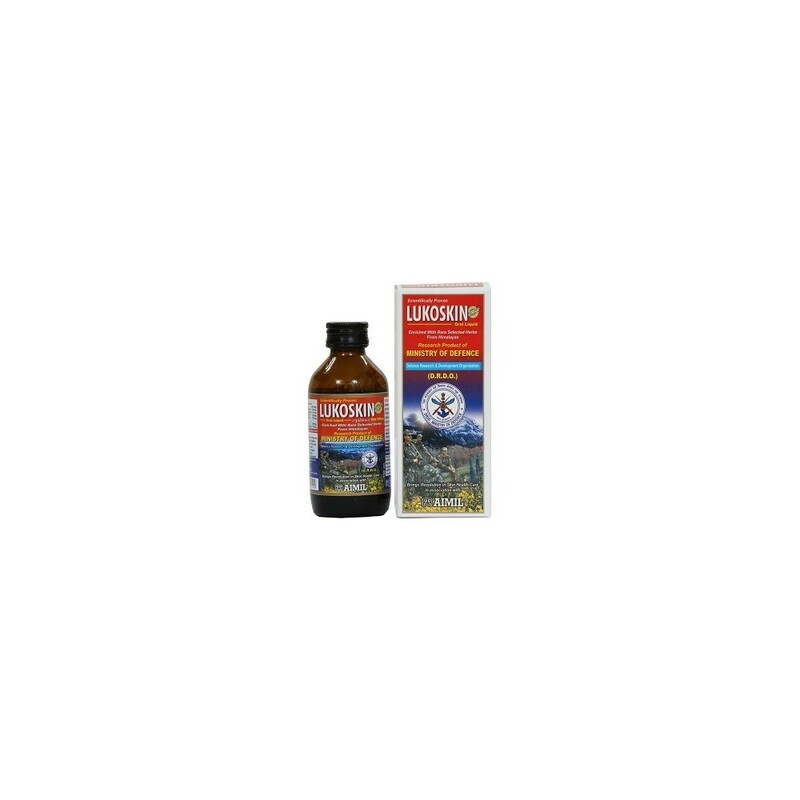 Oral liquid and ointment together provide a comprehensive and effective treatment for Leucoderma (Safed Daag). Adults : 1 to 2 ml. Or 20 to 40 drops diluted in a cup of water twice or thrice a day. Children : 1/s ml. Or 10 to 20 drops diluted in a cup of water twice or thrice a day or as directed by the Physician. Apply gently from pigmented to non-pigmented area, once or twice a day and take oral liquid. After half an hour, expose the area to sun either before 11 am or after 3 pm for 10-20 mins or as per the advice of #Physician. While applying ointment if you are feeling irritation/ blister, it is a positive sign for erythema/ pigmentation. In some hypersensitive patients, at time of severe irritation, apply or dilute the medicine with Chameli (jasmine) oil or seek Physician’s advice.